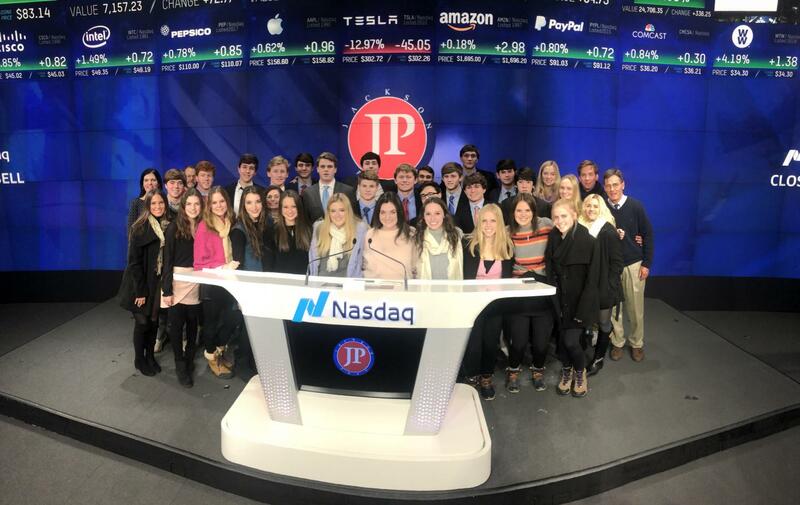 From January 16-20, 31 Jackson Prep seniors that either have taken or are taking the Financial Management class embarked on a trip to New York City. Accompanying the students as chaperones were Ms. Waynett Noe, who teaches the class, alongwith Ms. Kimberly Van Uden, Mr. Lee Ozier, and Mr. Donald Regan. You have to go to New York with a theme of a trip in mind since the city is so big. Sometimes, you go to shop. Other times, you go to sightsee. For this trip, the purpose was financial management, so the students really got to experience the business side of New York, although that doesn’t mean they completely neglected the main sights of the city. 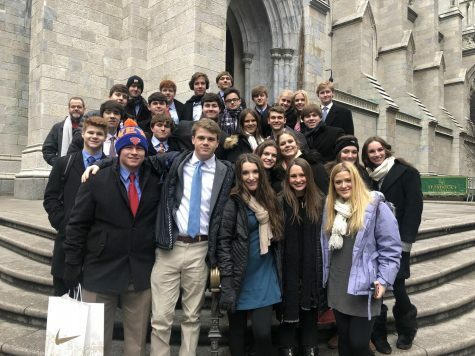 Throughout their three days in the city, they met with Prep graduates living and working in the city and got to see New York through the perspective of what it is like to actually live and work there. On Wednesday the 16th, the group drove on a Cline Tours bus to New Orleans to fly on a direct flight to Newark, New Jersey, arriving at the hotel after midnight. After checking into the hotel, the students were left with little time for rest, as they had to be dressed in business attire at 6:30 the next morning. On Thursday, they began the day by meeting with Prep graduate Becky Lazzeri, who teaches math at Marymount School of New York, an all-girls Catholic school. After that, some students went to the Federal Reserve, and others met with Sandra Bloodworth, who is in charge of the artwork located in the subways. 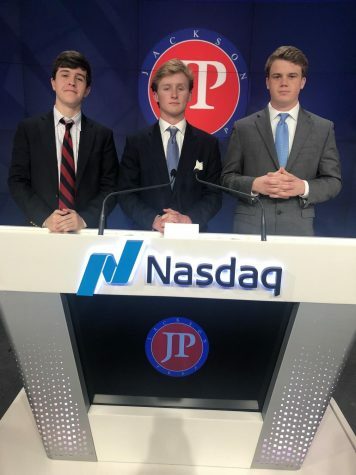 The group then had a break for lunch before going to meet another Prep alum, Kate Carter, at her office Anomaly, a group that does advertisements for some of the largest corporations in the world. 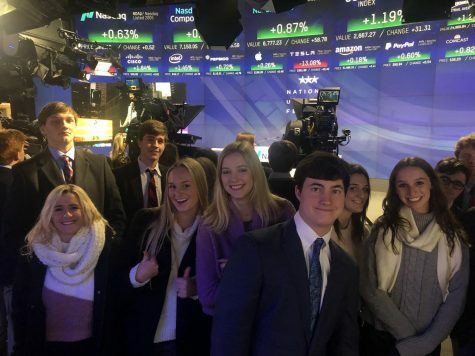 Following the meeting with Kate, they went to NASDAQ and met with Tim Seymour, who is one of the commentators on CNBC’s Fast Money, and got to watch the live filming of the show. Thursday night was finished off with a New York Rangers hockey game. Students enjoyed buckets of fried chicken and pizza while watching hockey, which was a fun experience since most students on the trip had never been to a hockey game. The first day was exhausting, as the students left the hotel at 6:30 and didn’t get back until after 11, but they had quite the time. Friday morning, the group did not have to be down in the lobby until 9:00. The first item on the agenda that morning was a meeting with David Hobbs, son of Prep teacher Ms. Marsha Hobbs, who helps run a hedge fund. His office, on the 36th floor of a building on 57th Street overlooking Central Park, was incredible. After that, students had free time to explore 5th Avenue, Trump Tower, shop, and eat lunch. They then went back to NASDAQ for the closing bell ceremony before eating a buffet-style dinner at John’s Pizza off of Times Square and seeing the spectacular Broadway musical Phantom of the Opera. On Saturday, the group began the day at 9:00 with a trip to the 9/11 Memorial and Museum. This experience is truly moving and is a beautiful commemoration of the brave men and women who lost their lives as first responders. They then went to the top of the new One World Trade Center building, which at 104 floors is now the tallest building in New York. After eating lunch, the students met with another Prep graduate, Alexandra Franklin. Franklin is currently a literary agent for people who are interested in publishing their work. That night, the students ate dinner in Grand Central Station and got to go ice skating in Rockefeller Plaza before riding up to Top of the Rock, which gives you a full view of the city, although the view was obstructed by an onslaught of snow. They ended the day by enjoying dessert at Ellen’s Stardust, a diner where Broadway hopefuls perform while you eat. The next day, they flew out at 2:30 back in to New Orleans, stopping at Middendorf’s for catfish for their final meal together, before arriving back home shortly after 9:00. This trip, although very fast-paced, tiring, and filled with crammed subway rides, was a unique experience for all of the students involved. Not only did they get to see many of the famous sights of New York, but they also got to see what it actually is like to live and work in the greatest city in the world. Additionally, they got to experience this city with some of their closest friends, creating memories that will last for a lifetime.